The Republic of Entertainment: Cable Television and the Transformation of American Democracy (in progress)By examining the relationship between the democratic potential and the commercial pressures the cable industry faced from the 1970s through the 1990s, Brownell’s new book will provide essential insight into how cable television transformed from a tool to promote the public interest to a consumer product used primarily for entertainment. Courtesy of Barco Library, The Cable Center. Showbiz Politics: Hollywood in American Political Life. 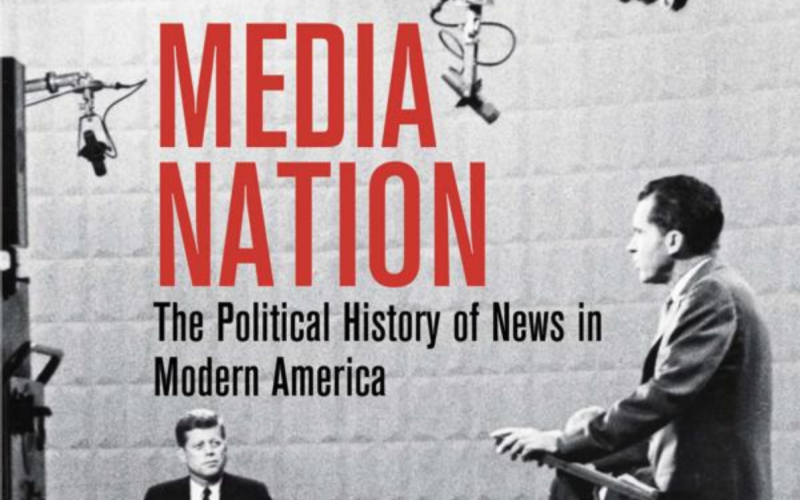 Chapel Hill: University of North Carolina Press, 2014.Conventional wisdom holds that John F. Kennedy was the first celebrity president, in no small part because of his innate television savvy. But as Kathryn Brownell shows, Kennedy capitalized on a tradition and style rooted in California politics and the Hollywood studio system. 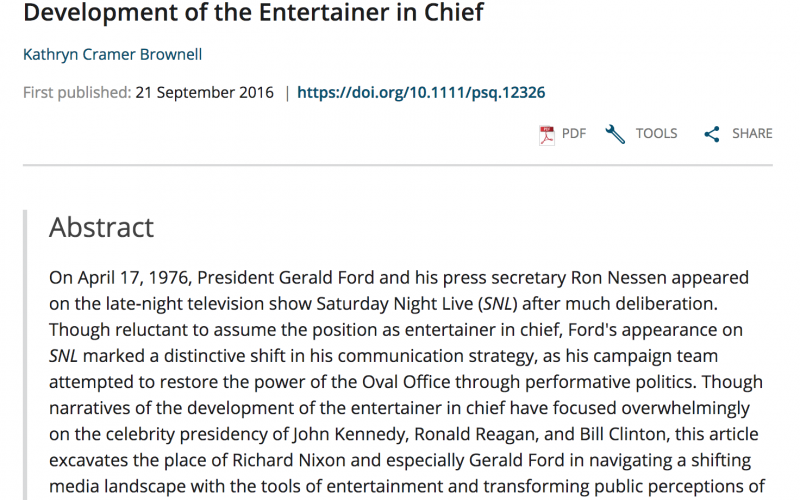 "The Historical Presidency: Gerald Ford, Saturday Night Live, and the Development of the Entertainer in Chief." 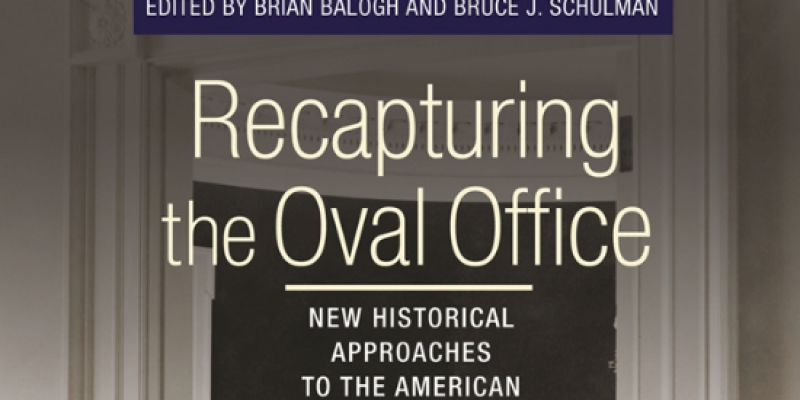 “The Making of the Celebrity Presidency.” In Recapturing the Oval Office edited by Brian Balogh and Bruce Schulman. Ithaca: Cornell University Press, 2015, 162-174. 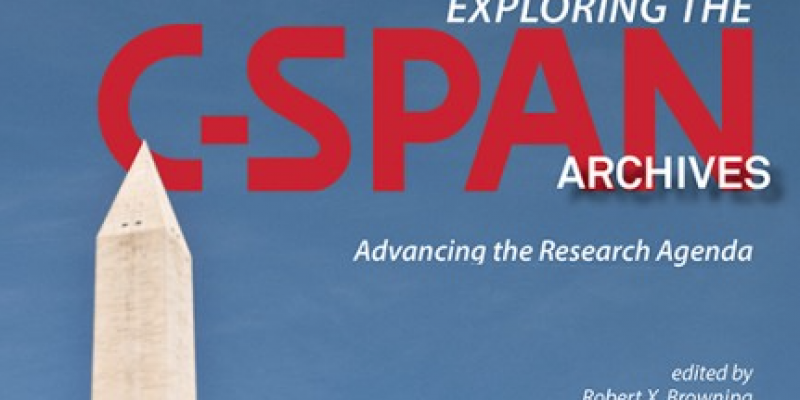 “Beyond the Anecdote: The C-SPAN Archives and Uncovering the Ritual of Presidential Debates in the Age of Cable News.” In The C-SPAN Archives: Advancing the Research Agenda edited by Robert Browning. West Lafayette, Indiana: Purdue University Press, 2015, 1-18. 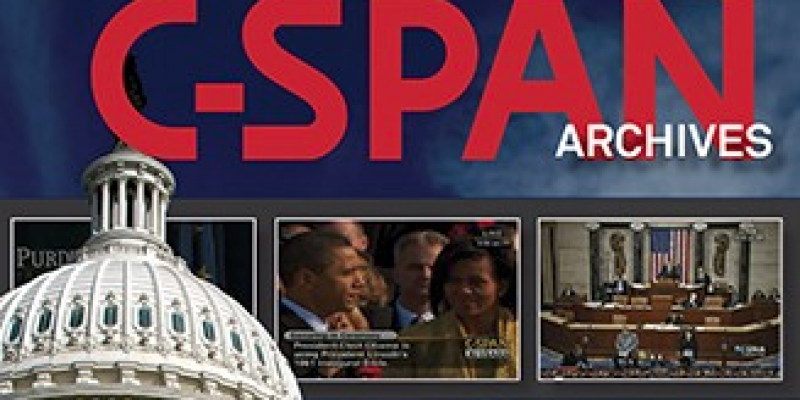 “Beyond the Headlines: The C-SPAN Archives, Grassroots ’84, and New Directions in American Political History.” InThe C-SPAN Archives: An Interdisciplinary Resource for Discovery, Learning, and Engagement edited by Robert Browning and Patrice Buzzanell, West Lafayette, Indiana: Purdue University Press, 2014, 45-58. 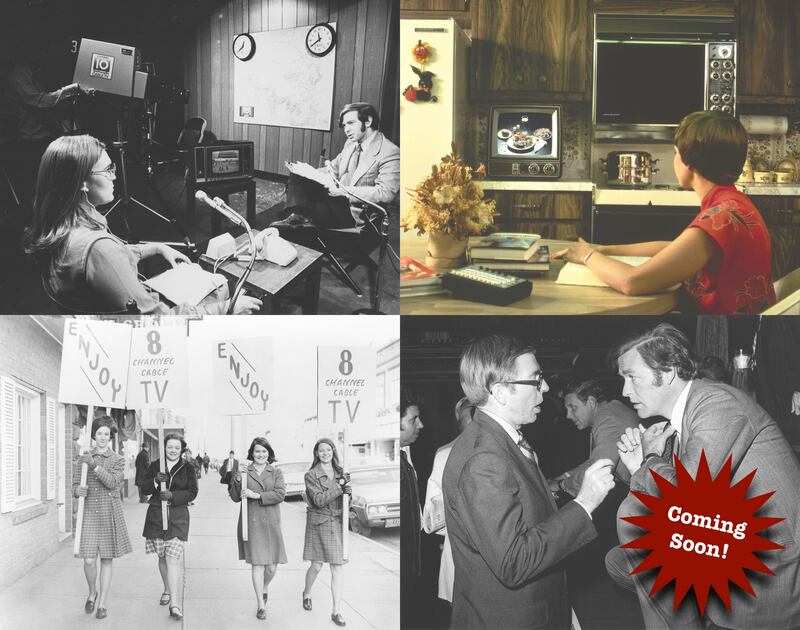 "Beyond the Headlines: The C-SPAN Archives, Grassroots '84, and New Directions in American Political History," in The C-SPAN Archives: An Interdisciplinary Resource for Discovery, Learning, and Engagement, eds. Robert Browning and Patrice Buzzanell. West Lafayette, Indiana: Purdue University Press, forthcoming 2014. “’Movietime U.S.A’: The Motion Picture Industry Council and the Politicization of Hollywood in Postwar America.”Journal of Policy History. Vol. 24, No. 3 (July 2012): 518-542. 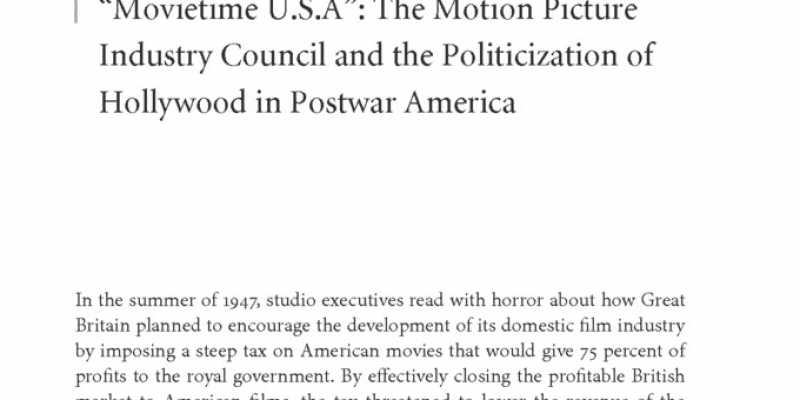 “’Movietime U.S.A’: The Motion Picture Industry Council and the Politicization of Hollywood in Postwar America.” Journal of Policy History. Vol. 24, No. 3 (July 2012): 518-542. “’It is entertainment and it will sell bonds!’ 16 mm film and the WWII war bond campaign.” Moving Image Journal, Vol. 10, No. 2 (Fall 2010): 60-82. 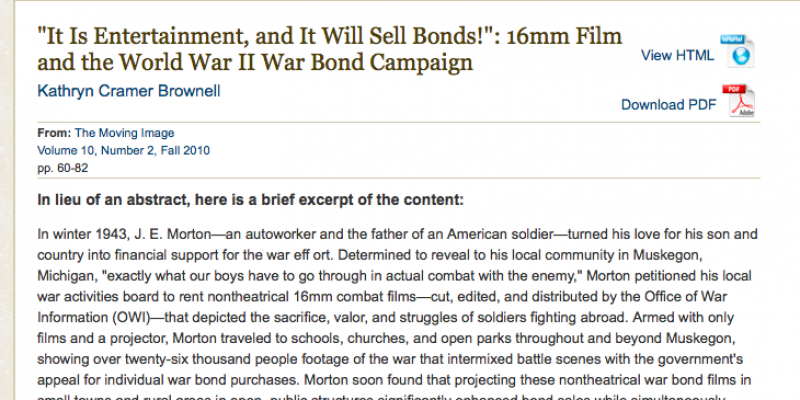 “’It Is Entertainment, and It Will Sell Bonds!’: 16mm Film and the WWII War Bond Campaign.” Moving Image Journal, Vol. 10, No. 2 (Fall 2010): 60-82. Dr. Kathryn Cramer Brownell is an author and assistant professor of history at Purdue University in West Lafayette, IN where she teaches courses in 20th century American history. She received her B.A. from University of Michigan and her Ph.D. from Boston University. Her research and teaching focus on American political history, the American presidency, and intersections of media, politics and popular culture in modern America. 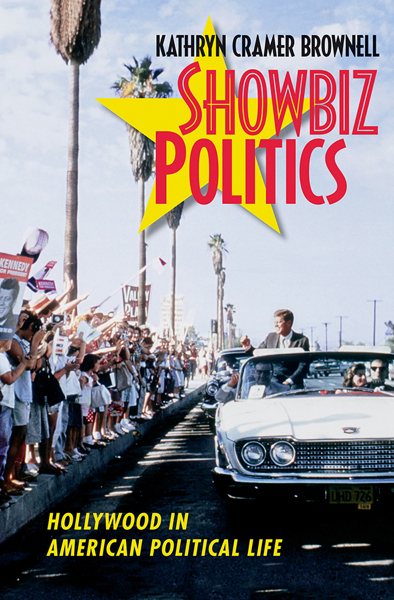 Her most recent book, Showbiz Politics: Hollywood in American Political Life, examines the institutionalization of entertainment in American politics. © 2018 Kathryn Cramer Brownell. All rights reserved. Design by White Ox Creative. I'm not around right now but you can send me an email and I'll get back to you, as soon as I can!